Is Hilary Clinton any different than Edward Snowden? Well, there’s one major difference between the two—Snowden purposefully leaked top-secret documents on U.S. surveillance programs whereas Clinton claims no such thing in how she handled classified emails. Despite the fact Clinton may have had no intentional or malicious intent, there are plenty of other government employees who have gotten the axe for much less. Does the fact that Clinton was not indicted for mishandling classified emails mean whistleblowers are off the hook? If you’re not familiar with the Clinton email controversy, here’s the low down. As Secretary of State, Clinton used her family’s private email server for official communications that should have been used on the official State Department email accounts located on federal servers. Why the big deal? Well, thousands of these emails were later marked as classified, posing a potential security threat if on the off chance any of those emails were hacked. 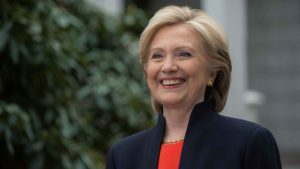 While many seem split on whether Clinton committed a crime, others say it’s likely she violated government procedures and rules but didn’t violate the law in and of itself. Clinton acted “extremely careless”, according to FBI Director Comey, but no laws were broken. The 1989 Whistleblower Protection Act protects federal employees from agency backlash for whistleblowing. Even despite the law, many employees were often fired, demoted, reassigned, or lost their security clearances after stepping forward against their government employers. At the beginning of Barack Obama’s presidential campaign, one thing he promised was to strengthen the laws to better protect whistleblowers from negative repercussions. Obama promised to speed up the review process of claims and grant whistleblowers full access to jury trials and due process. Although he followed through on part of his promise, one area remains unprotected—free speech protections don’t extend to whistleblowers in the intelligence community. Obama did, however, pass an executive order appearing to extend the same protections to the intelligence community by allowing them to use internal channels, rather than the media, but many advocates suggest this is merely a façade and doesn’t afford the same protections as a Congressional law. Does Clinton’s Lack of Indictment Set a Precedent Offering More Employee Protections? Despite Clinton’s reprieve, the government’s insistence on punishing secrecy violations shows no sign of a change. As with any other criminal case, situations will be investigated on a case-by-case basis, which means Clinton’s lack of indictment isn’t going to offer any sort of blanket coverage, especially when you consider the fact that the Obama administration has prosecuted more leakers under the 1917 Espionage Act than all prior administrations combined. In 2015, David Petraeus, former CIA Director, plead guilty to a felony charge of unauthorized removal and retention of classified information for providing his mistress with classified information. Petty Officer First Class Kristian Saucier used a cellphone camera to take photos in a classified engine room of the nuclear submarine where he worked as a mechanic. In May, he entered a guilty plea for unlawful retention of national defense information. These are just a few examples. Regardless of whether protections are offered under whistleblower laws, none of them would have protected Snowden. One important thing to remember is that whistleblower protection, whether at the government or private level, are only triggered if employees go through the appropriate channels—not leaks to the media. Even so, where are the protections when, in cases like Clinton or Petty Officer Saucier, information is simply mishandled without malicious intent? These kinds of cases where information is mishandled shouldn’t even warrant criminal charges, but nonetheless, they do and there definitely seems to be an imbalance in terms of who gets prosecuted and who doesn’t.